To Try a New Sword on a Chance Wayfarer: Happy St. Patrick's Day! Happy St. Patrick's Day, everyone of Irish heritage and/or everyone who wants to drink like an Irishman for a day! Here's a picture of a leprechaun, by Chelsea, age 7. 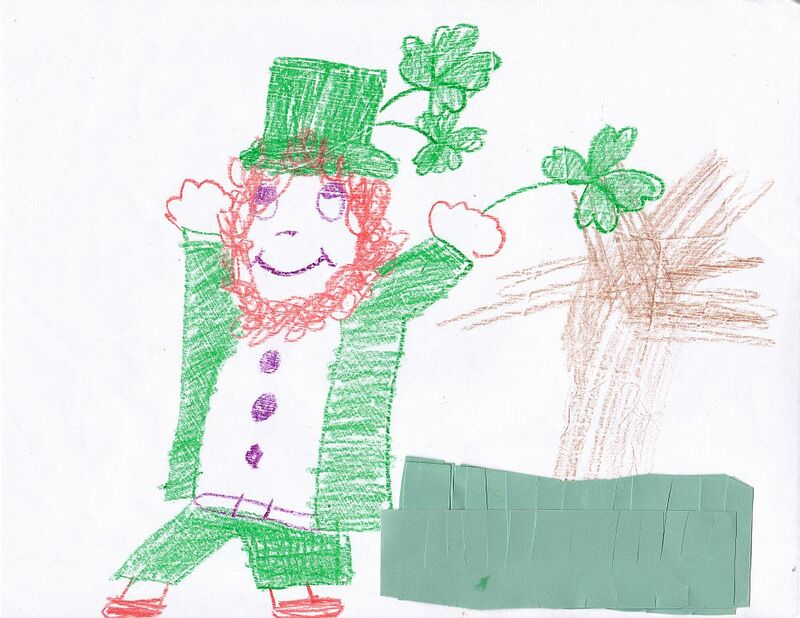 His pot 'o gold is hidden in the grass. Excellent artwork there! All we have around here is light beer ... I may have to stop at the liquor store and pick up something Irish ... more worthy of the occasion.